"There's nothing on the top but a bucket and a mop. And an illustrated book about birds." 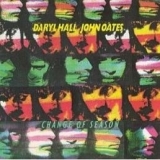 Change Of Season (this album) (1990), Looking Back: The Best Of Daryl Hall & John Oates (compilation) (1991), The Essential Daryl Hall & John Oates (compilation) (2004).